1. How great for you. I am so pleased you are in a good relationship. 2. You are absolutely nuts if you are letting that great guy handle all the big money decisions. Love does not mean saying you trust someone to do what is smart and right. Love does not mean you have the luxury of letting someone else handle the stuff you find boring and confusing. And for those of you who are single at the moment, hiring someone, or trusting a friend or family member to take care of the money stuff, makes you just as wrong. Failing to be involved with your money is a mistake that will cost you so much. For starters, the odds are that you will live a long time. Half of today’s 65 year old women will still be alive into their late 80s. Are you financially prepared for that possibility? And women live longer than men. Add in the fact that you may be a few years younger than your guy, and there’s a very good chance you will, at some point be on your own. Trying to learn about finances, or make sense of things when you are dealing with loss is the absolute worst idea. On top of it, trying to take control of money issues when you are 65, 70 or older, is way too stressful. The time to take control is now. I also don’t want you to find out, after the fact, that financial decisions that were made for you, were not ideal for you. I am not in any way suggesting that your husband or partner, or financial advisor, intended to make bad choices. But I want you to pull up a chair and be involved in all decisions to make sure that they are the right decisions for your long-term well-being. And the only way that can happen is if you make the commitment to be involved with your money. For example, if your spouse will be eligible for a pension plan, what will happen when he dies? Will you continue to receive a payment? Or does it stop when he passes? If you get a payment, will it be 100 percent of what he received, or 50%? If you don’t know the answers to that, you are seriously at risk. And what’s your Social Security strategy? As I have shared with you often, the best move is for the highest-earning spouse to try and delay taking Social Security until age 70. That ensures the highest possible benefit. 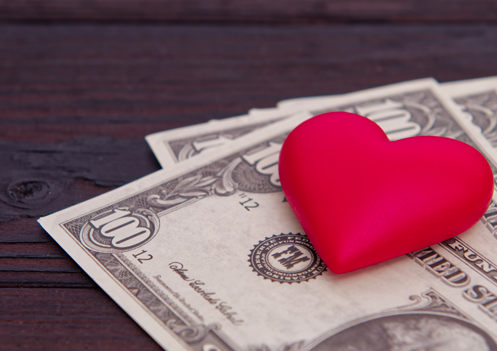 When a spouse dies, the survivor is entitled to one monthly Social Security check, not both. So by having the highest-earning delay to 70 you are ensuring that the surviving spouse will be able to collect the highest possible benefit. If you are resisting connecting with your money out of fear (or loathing) I am asking you to be kinder to yourself. By becoming an informed and active participant in your household’s finances you are not just protecting your future, but just as important, you are liberating yourself from worry today. Taking the time to learn about your finances, and understand the best choices to build lasting security is a gift of true generosity. You are investing in your well-being. How can you turn your back at that? I realize it may not be as easy as pushing a re-set button on your relationship with money. 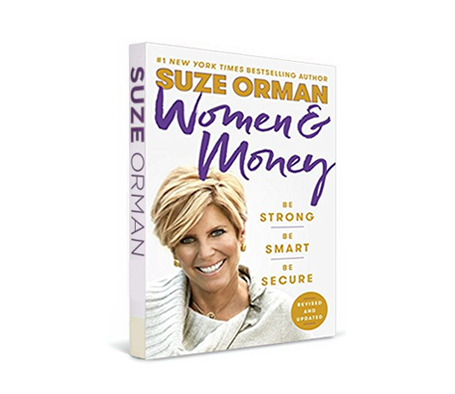 That is why I have just re-issued an updated version of Women & Money. I explore (without an ounce of shame or blame) all the very good reasons why you may find it difficult to connect to all the “money stuff.” Through guided lessons I help you shed this attitude, and then give you an easy-to-follow Financial Empowerment Plan that includes the key moves you must make today to protect your tomorrows.